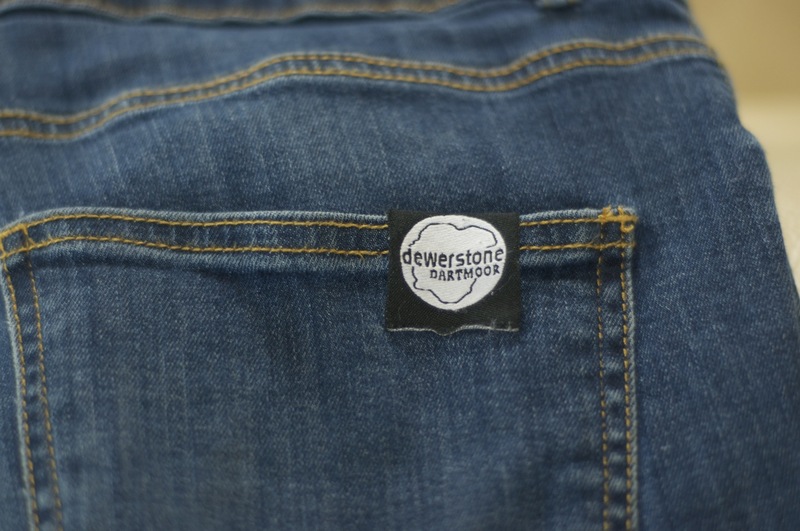 Bill Mattos Stuff: Jeans from dewerstone - practical in the extreme. Jeans from dewerstone - practical in the extreme. Stretch jeans were a thing when I was a kid. It didn't endure. But in a world where we want our activewear not to look like activewear (I'm using the royal "we" because I know there are MAMIL's and people who wear their gym clothes to show that they go to the gym) the concept of stretch denim actually makes a lot of sense. I wasn't sure I would enjoy wearing it though. But I do. They look like nice jeans, feel good to wear (they are quite light but I haven't ripped them yet so that isn't really a negative) but crucially they allow a lot more movement than conventional jeans. A friend of mine who is a dancer used to wear what she called her "dancing jeans" - I think they were in fact her Dad's old jeans, and they were massive. This enabled her to do big dance moves unhindered, and I don't think she was bothered that they weren't that flattering to her svelte physique. But guys can't really employ this strategy - we don't have the waist/hips really, so big trousers actually fall down and make leg movement even more difficult. Enter the reasonably fitted but stretchy dewerstone jeans. I wear these as often as I can, and very often bust out a workout in them. Dance moves not so much. "Now hang on a minute," I imagine you saying, "Why would you do a workout in your jeans?" And yes, perhaps that seems as incongruous to some people as wearing Lycra all day does to me. But hear me out. When I'm looking after the toddler, or at the computer, I just need to swing into action with a mini workout when said child goes to sleep or is incarcerated in a high chair. Or when I have writer's block or procrastination overload, in the latter case. Or at the pub. I don't have time to be putting on special clothes. What else do I like about them? 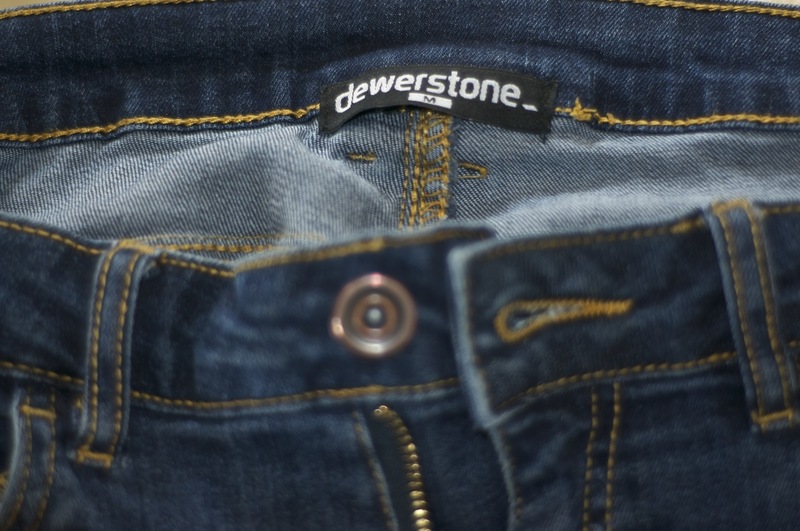 The little square pocket that all jeans have, that I used to call a change pocket but maybe it's for condoms? Whatever, it's no use at all if you can't get enough fingers in to retrieve the contents. This one is perfect. Again, the stretch helps. Subtle branding. Nice. Sizing, as far as I can tell, as expected. Colour - they don't look "too blue" straight off the shelf, but don't fade in the first few washes. Build quality - exemplary. Back pockets big enough for my "phablet" (^see dragon flag pic^ - it's in my back pocket). Could they be better? Not really. I would prefer a button fly, and maybe a hidden zipped pocket for cards/cash so that stuff can't be lost when you hang upside down. But that's just me. Personal preference.